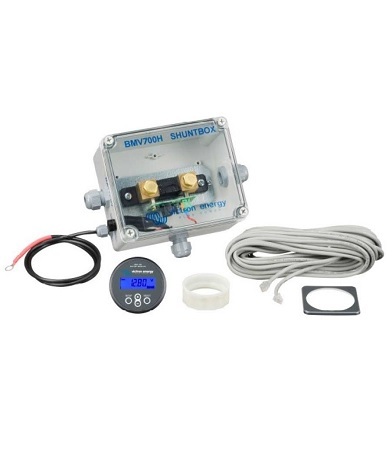 The BMV-700 is a high precision battery monitor. 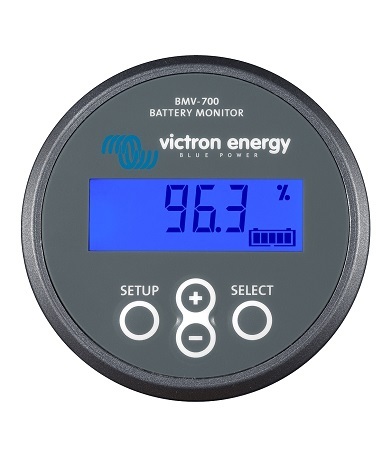 The essential function of a battery monitor is to calculate ampere hours consumed and the state of charge of a battery. Ampere hours consumed are calculated by integrating the current flowing in or out of the battery. See the datasheet for additional components that allow the expansion of the system to monitor a second battery, battery temperature and midpoint voltage.